“You don’t have to be crazy to work here. Would you like to work at Orange Planet? for good people. That’s something we always need. So, if you’re convinced that you’re a perfect fit for us and that we can make good use of your talents, please send us your contact details and CV. We might be able to create a position for you. Are you crazy about funny and original gifts, just like us? Would you like to test fun gadgets for free? And do you have a blog or a YouTube channel on which you regularly publicise new things? Then we are looking for you. Orange Planet is a wholesaler with more than 500 unique items in its assortment. From fun fitness equipment to Health & Beauty products and from household items to original gadgets. We work with bloggers and vloggers on a regular basis and find it fun to do so. Do you have a blog or a YouTube channel and would you like to test our products? Fill in the form below and we will look for enjoyable ways in which we can work together. Sign up straight away! Looking for an enjoyable internship with plenty of variety? Would you enjoy being placed in a small, dynamic company with numerous opportunities? Then we are looking for you. Orange Planet is a wholesaler with more than 500 unique items in its assortment. From fun fitness equipment to Health & Beauty products and from household items to original gadgets. Orange Planet is a certified by the SBB (Vocational Education and Business Organisation) as a work-experience trainer. Vocational education and the business world work together within the SBB to provide students with the best work experience on their way to getting a job. In this way, the business world continues to get the professionals it needs. As a recognised training company, we are proud to contribute to this. 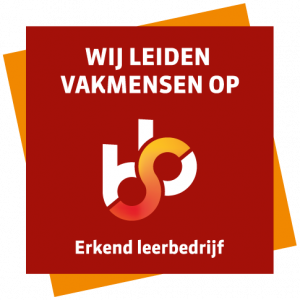 Visit s-bb.nl for more information. Want to know what internships are currently available at Orange Planet? Visit stagemarkt.nl and maybe we’ll see you soon at Orange Planet.